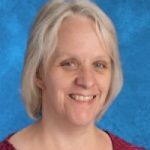 Mrs. Foley earned her Bachelor’s Degree in Elementary Education from The State University College at Oneonta and Master’s Degree in Special Education from The College of St. Rose. She has New York State certification in both areas. Her professional career started with a year of substitute teaching in various Capital District elementary schools. Next she taught fifth grade at St. James Institute in Albany for four years. She then came to St. Jude the Apostle School where she has been for twenty plus years. At St. Jude School Mrs. Foley has taught third grade, first grade, academic intervention services, and currently teaches fourth grade. Outside of the classroom Mrs. Foley enjoys reading, baking, attending Jazzercise class, and watching sit-coms on TV.